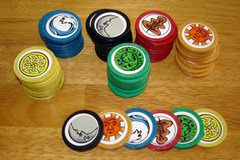 Decktet suit chips are tokens in each of the six Decktet suits. 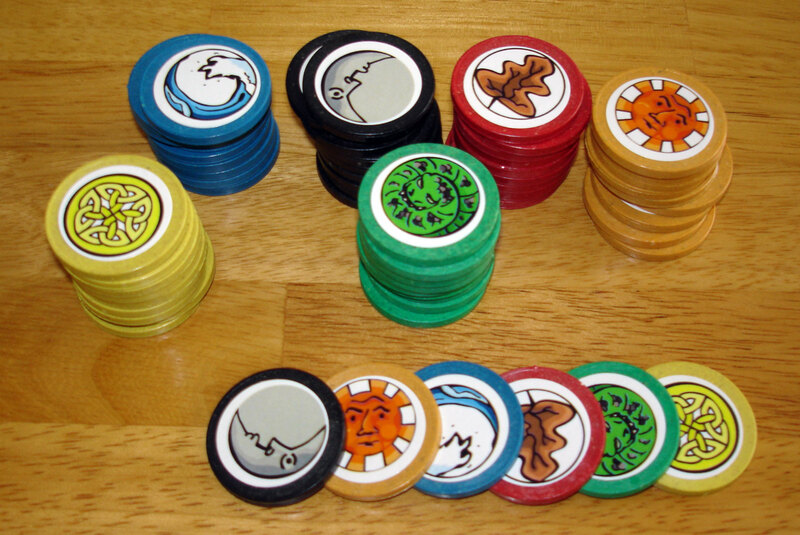 They were first used in the game Magnate, in which they represent six different kinds of resources. They are used to keep score in several other games. 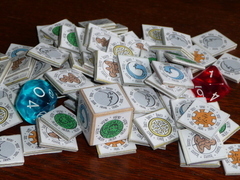 Many of these are playable without suit chips, although the alternate way of playing depends on the game in question.